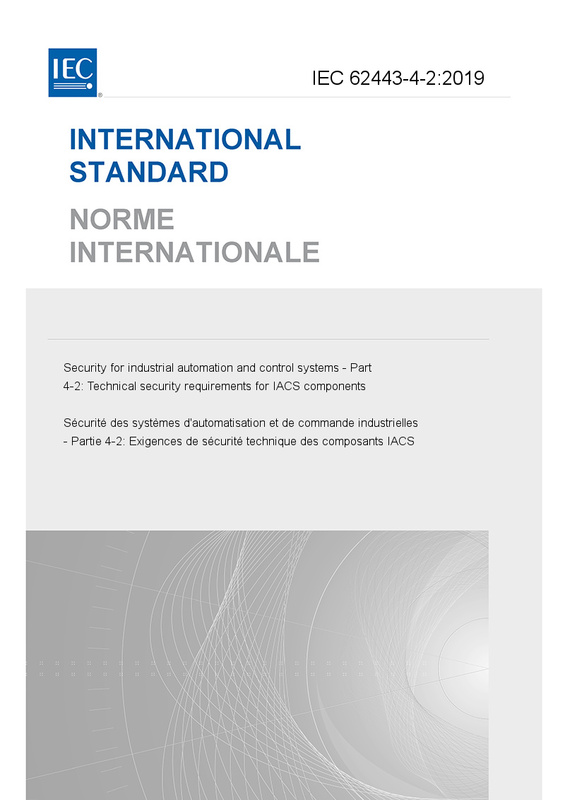 IEC 62443-4-2:2019 provides detailed technical control system component requirements (CRs) associated with the seven foundational requirements (FRs) described in IEC TS 62443-1-1 including defining the requirements for control system capability security levels and their components, SL-C(component). As defined in IEC TS 62443-1-1 there are a total of seven foundational requirements (FRs): a) identification and authentication control (IAC), b) use control (UC), c) system integrity (SI), d) data confidentiality (DC), e) restricted data flow (RDF), f) timely response to events (TRE), and g) resource availability (RA). These seven FRs are the foundation for defining control system security capability levels. Defining security capability levels for the control system component is the goal and objective of this document as opposed to SL-T or achieved SLs (SL-A), which are out of scope.